I so loved being an editor for the Bulldog Barks - remember doing the humor columns from The Old Philosopher to Twas the Night Before Exams...to interviewing members of the senior class. Keep up the good work. Sandra Jaffa posted a message. You asked how I was feeling. I was diagnosed with stage four cancer last March. So I’ve been on a lot of chemo and doing the best I can. It is the last thing I ever expected and they found it by accident. But I’m hanging in there. Sandra Jaffa posted a message on Judy Linder's Profile. Sandra Jaffa posted a message on Helen Small's Profile. Sandra Jaffa posted a message on Joel J. Farkas' Profile. it seems like yesterday. I wanted to wish you a very happy birthday. I’ve been living in New York virtually since I graduated college. And I’m about to see Miriam Translator, who is in New York visiting from Israel. 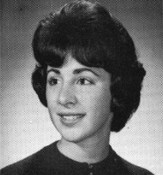 Sandra Jaffa added a comment on Leslie Rubin Deckelbaum's Profile. Sandra Jaffa added a comment on her Profile. New comment added. Wishing you a very happy upcoming birthday. I see that you live in New York. Me too. I hope at some point we could meet just to say hello since I’ve missed the last two reunions. Sandra Jaffa added a comment on her Profile. Sandra Jaffa has left an In Memory comment for her Profile. Sandra Jaffa updated her profile. View. Sandra Jaffa has a birthday today. Sandra Jaffa posted a message. New comment added. Lookin’ good. You have that gorgeous warm outgoing smile and laugh. And that has never changed. Sandra Jaffa posted a message on Judy Linder's Profile. New comment added. Weren’t you living in New York City a while back? If so and you’re coming back for a visit I would love to get together with you. In the meantime, wishing you a very happy birthday.